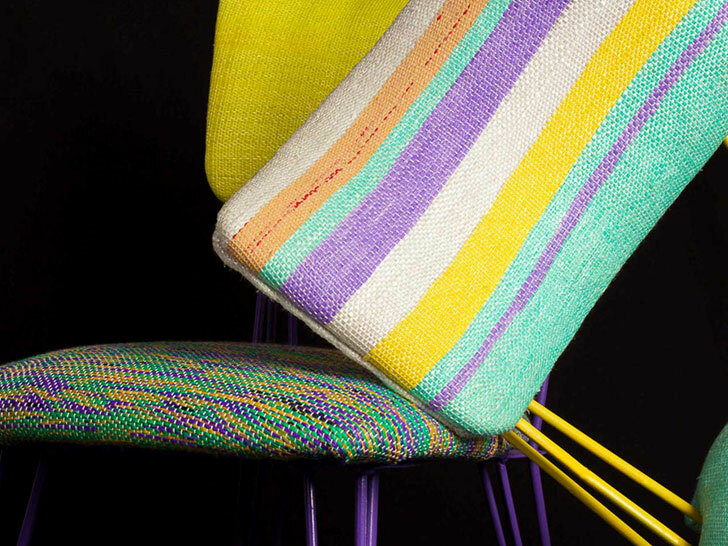 n. 1 a: A one-of-a-kind woven textile derived from discarded plastic bags. b: Made on traditional Egyptian hand looms. c: A pathway to reviving the endangered art of weaving in Egypt while increasing job opportunities and empowering local communities. 2: A durable, washable, and dirt-resistant material used in upholstery and housewares. 3: The brainchild of Cairo-based company Reform Studio, a 2014 laureate of the Cartier Women’s Initiative Awards, an international business-plan competition created in 2006 to “identify, support, and encourage” projects by female entrepreneurs. 4: Available in four patterns: plain, stripes, “zebra,” and plaid. This is even better than plarn! it's great but not new...I sold rugs made like this from Africa nearly 23 years ago! They have definitely moved the concept along though....very nice.